Industrial Finance Corporation of India (IFCI), Industrial Development Bank of India (IDBI), National Bank for Agriculture and Rural Development (NABARD) and Tata Social Welfare Trust (TSWT) are the sponsors of RGVN. 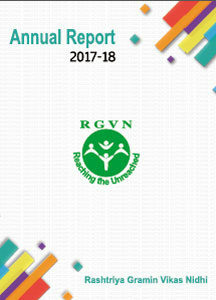 To be a sponsor of RGVN – a minimum of Rs 2 crore has to be given to the corpus of RGVN. The interest income from the invested corpus fund is used in pursuance of RGVN’s objectives. Apart from this interest income, RGVN also depends on various program based fund – both in the form of loan and grant received from various national/international donor agencies.